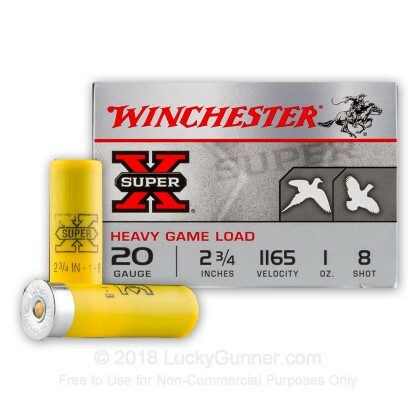 These 20 gauge shells from Winchester fire a full ounce of #8 birdshot at 1,165 feet per second, creating dense shot patterns ideal for upland bird hunting and clay shooting. 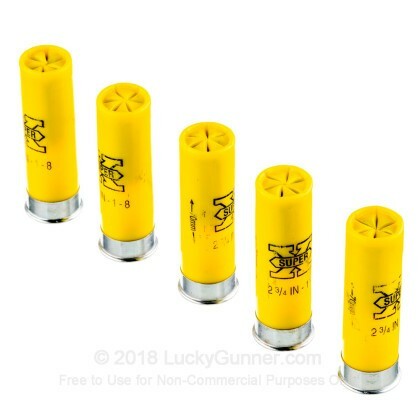 Like other Super-X shells, they deliver an excellent blend of price and performance and use high quality components such as one-piece hinged wads, clean propellants, and reliable 209 primers. 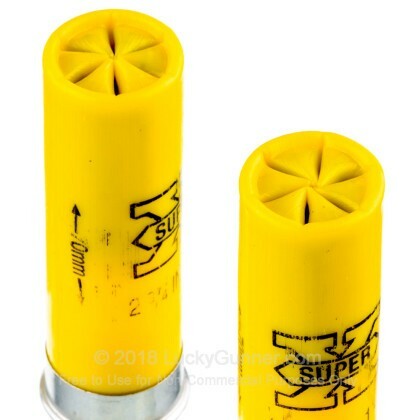 The plated shot used in these shells exhibits less deformation as it leaves the barrel of your shotgun. This helps keep the pellets in formation and generates tighter patterns at longer ranges. 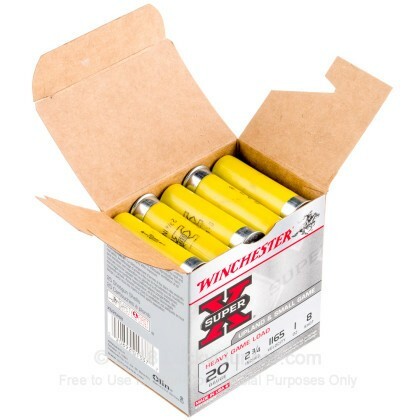 20 gauge shotguns are a longtime favorite of sportsmen (and women) who appreciate their balanced handling. 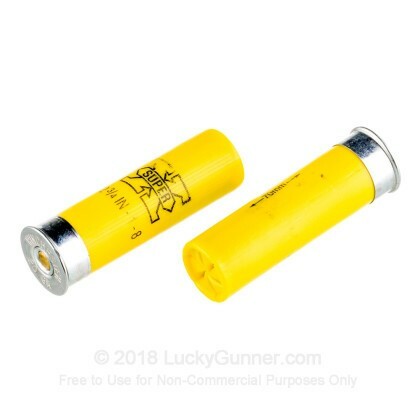 The 20 gauge is the second most popular chambering for shotguns in the US after the 12 gauge. 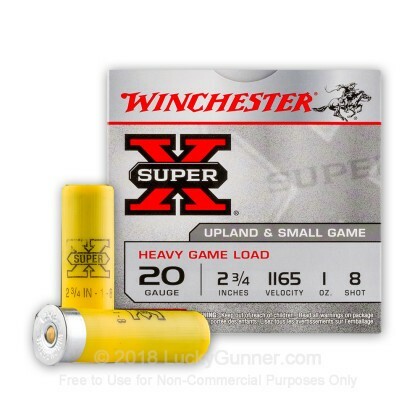 We also have this 20 Gauge - 2-3/4" #8 Shot - Winchester Super-X - 250 Rounds ammo in stock in a bigger quantity.